Additional Information: SCD’s 2011 Standard Catalog of Baseball Cards is not engaging in hyperbole when it calls this set “one of the most fascinating of all card sets.” Given the age of the set and the fact that it contains over 500 known players pictured in over 3,500 variations, it’s unlikely that a truly complete checklist will ever be assembled. The team checklist below is compiled by cross-referencing a number of different sources. 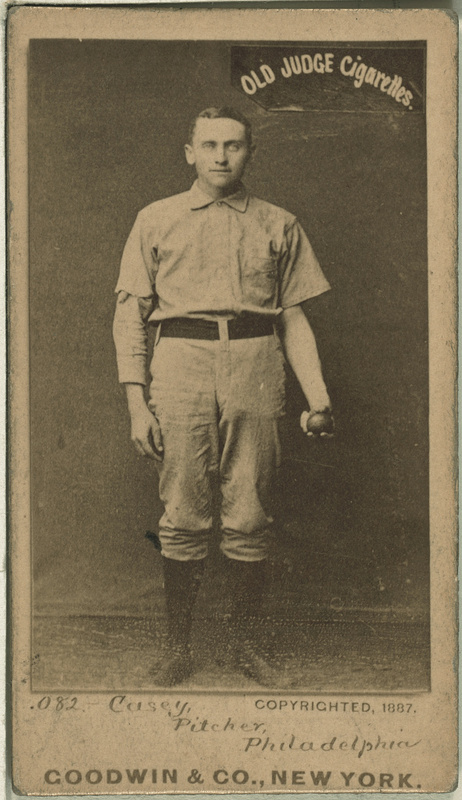 In particular, I made extensive use of the Standard Catalog and the information made available by searching for Old Judge cards on VintageCardPrices.com. Due to the extreme number of variations, there doesn’t appear to be a standard way to number this blank-backed set. As with most other unnumbered sets (the Old Judge set is also blank-backed), the cards in the checklist below are listed alphabetically by player’s last name and numbered accordingly. The numbers used below correspond to the number assigned to the player in the checklist printed in the Standard Catalog. 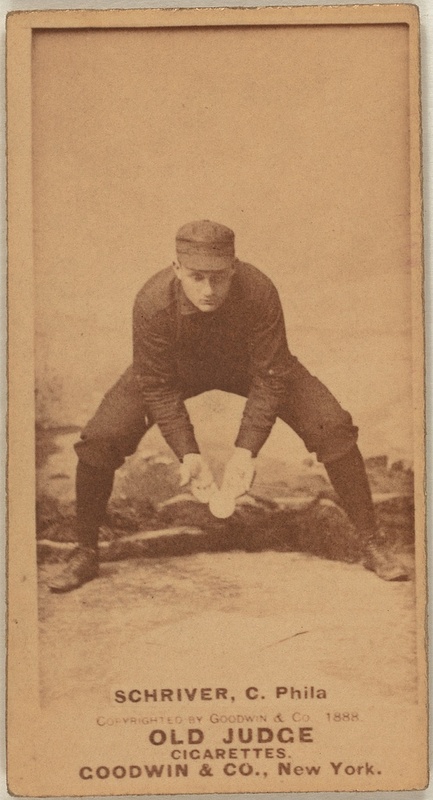 The letter following that number denotes an unique pose, and an additional number, preceded by a dash, denotes some sort of variation in the text on the card. The 32 different Phillies in the set are depicted in over 100 different poses, with variations bringing the total count to over 180 cards. 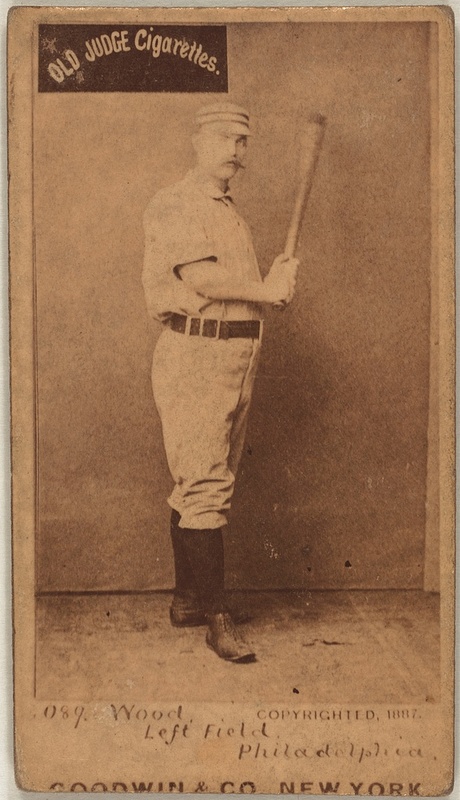 Every attempt was made at accurately describing all the photo variations, as well as the text variations in how the Phillies team designation is made, and how the the player’s position is listed. However, some may be missing. The cards can also be found with the text as either block text or appearing as hand-written script. Links for all the images used in this post follow the checklist below. 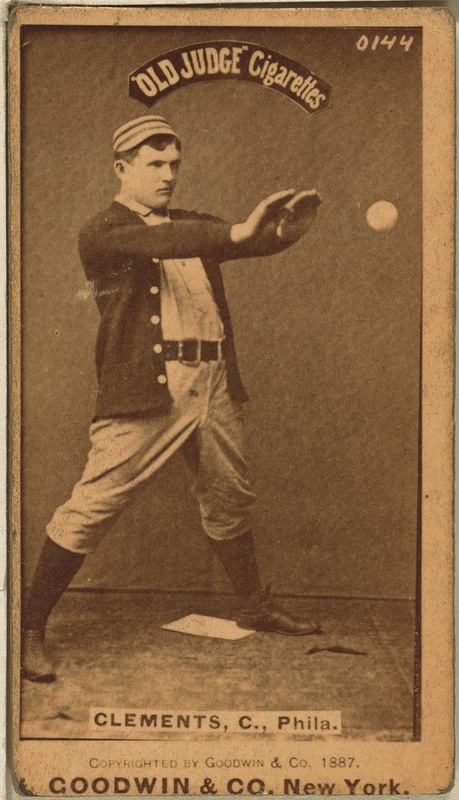 All were obtained from the Library of Congress Prints and Online Catalog, which contains images of 43 of the cards noted below. Finally, in the interest of saving space, note that all the Charlie Buffinton cards carry the same uncorrected error: his last name is shown as “Buffington” on all his cards.